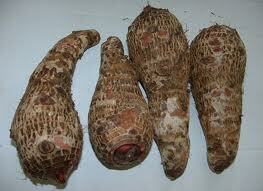 To name a few that are commonly grown are: camote, cassava, lutya or starin, ubi, arrowroot, gabi and some others. If they are grown properly, their yields shall be higher than normal. 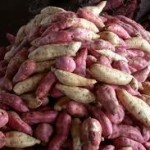 Root crops can be harvested in just a few months from planting and can be sold in the market or used for home consumption. They are easier to grow than cereals, fruit trees and legumes. 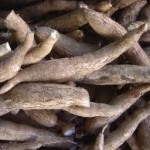 The plant parts like cassava stalks, camote vines, gabi tubers, lutya or starin tubers, and arrowroot suckers can be sold as planting materials to other growers. The leaves and other plant parts are usually harvested in its early stages of growth that is used as vegetable or as feed for swines and other domestic animals. Root crops should be grown in soils that are well drained and rich in organic matter. Rainfall, the right temperature and the length of daylight when the crops mature are important, according to Gabriel A. Tabinga, a retired associate professor in Agricultural Education at the College of Agriculture, University of the Philippines, Los Banos and author of the Manual on Root Crop Production. *** The soil must contain a lot of organic matter, particularly potassium, at the start of the growth. 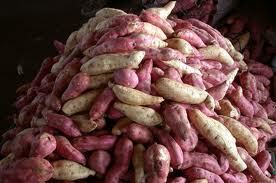 Experiments show that sweet potato (camote) produces high yield in acidic soils. *** Root crops need more moisture at the start of the growing period. Their water requirement may be reduced at the end of the growing period, particularly when the crop is about to be harvested. 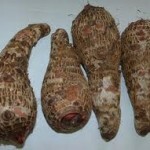 *** A warm, humid climate favors root crop production. The ideal temperature is 77-85 degrees Fahrenheit (25-30 degrees Centigrade). This is the reason why farmers who plant root crops off season will have to wait longer for their crops to mature. *** The root development of the crop is brought about by short days and low light intensity. 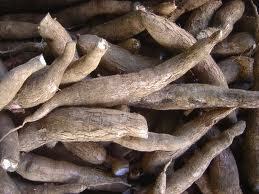 In places with day lengths that are more than 10-12 hours, cassava is less productive. Is The Food Crisis Of 2008 To Surface Again This Year?